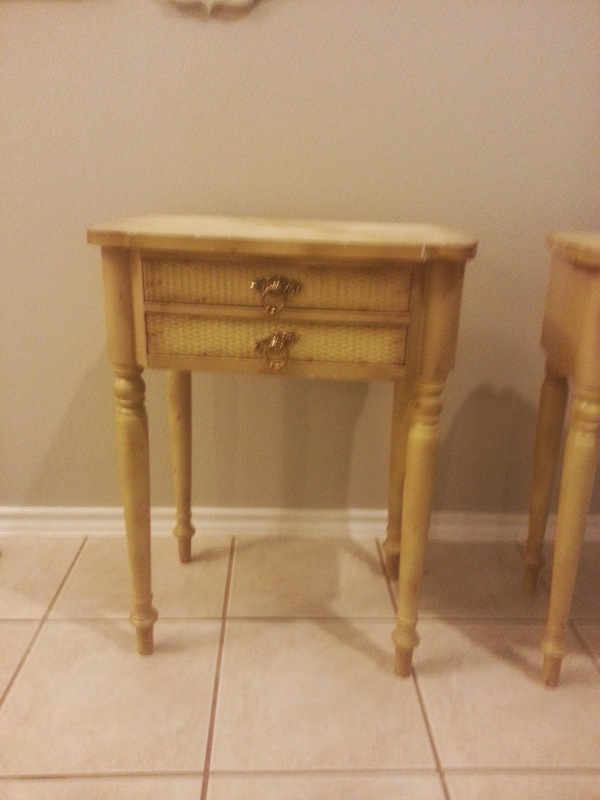 When it comes to my home, I am always on the hunt for cute furniture and home goods for cheap. I don't want my home to look cheap, but I also don't want to pay an arm and a leg to outfit it with cool things. Conundrum? Nope. You just have to keep an eye open for a hot deal and be willing to put a little work in to make it perfect. Like my spray painted mirror. 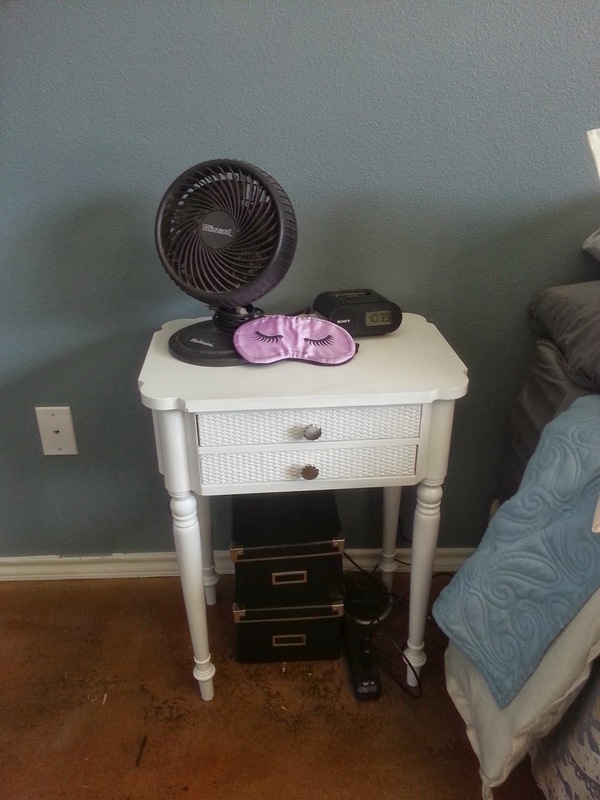 I was recently hunting through Craigslist, which seems to be a daily occurrence, when I found a set of vintage nightstands that I just knew would be perfect for my bedroom. They were the wrong color and needed some TLC, but I had to grab them, especially at $35 a pop. 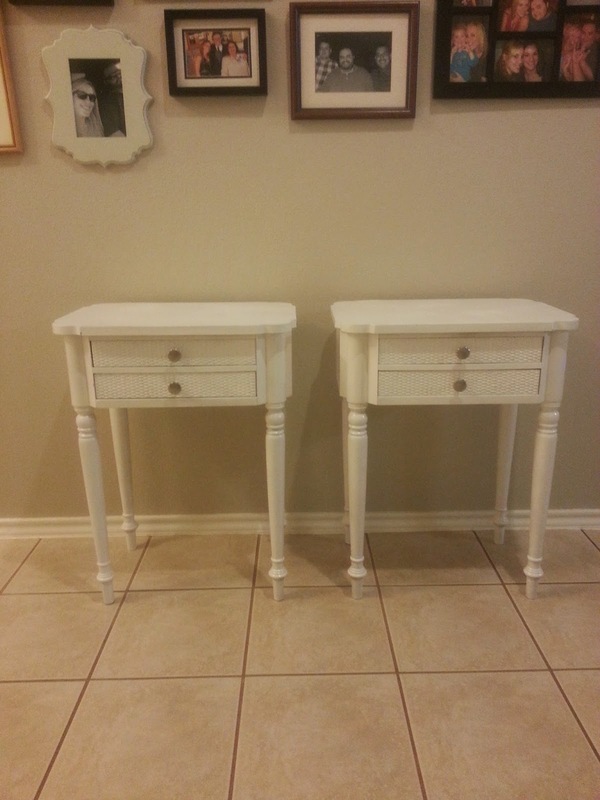 I managed to barter a tiny bit and got both for $60. 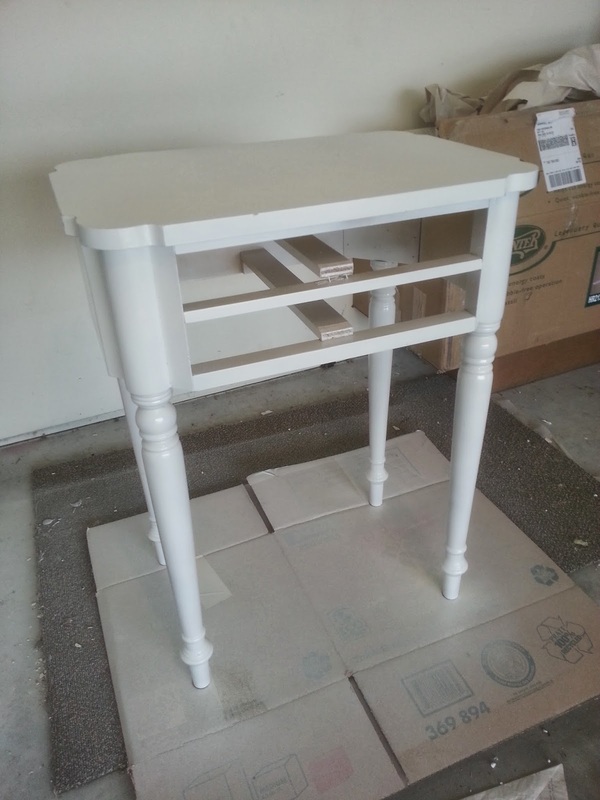 Gloss white spray paint is my favorite thing. Especially when it's primer and paint in one. 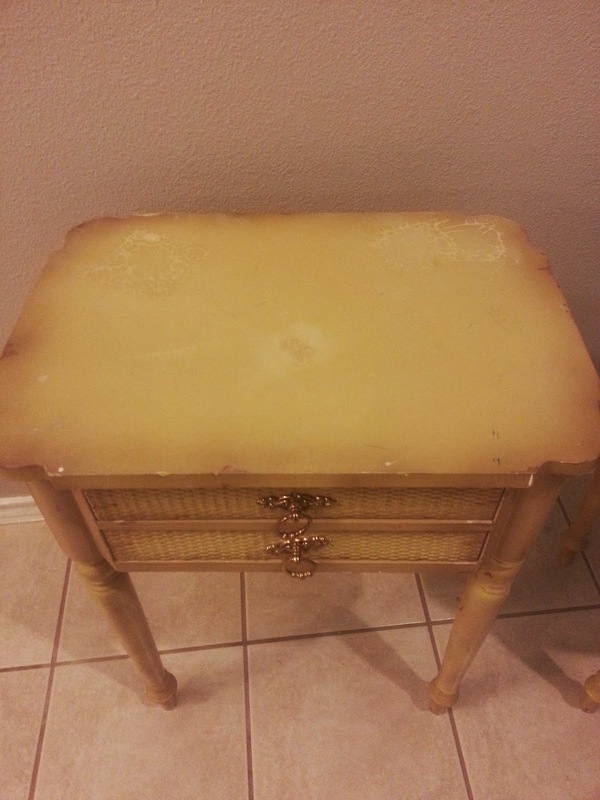 I took the hardware off the one nightstand that still had the drawer pulls, and then used a fine sanding block to smooth out some of the surface bubbles and chips. I'm too impatient to do the entire surface, so it was a spot job at best. 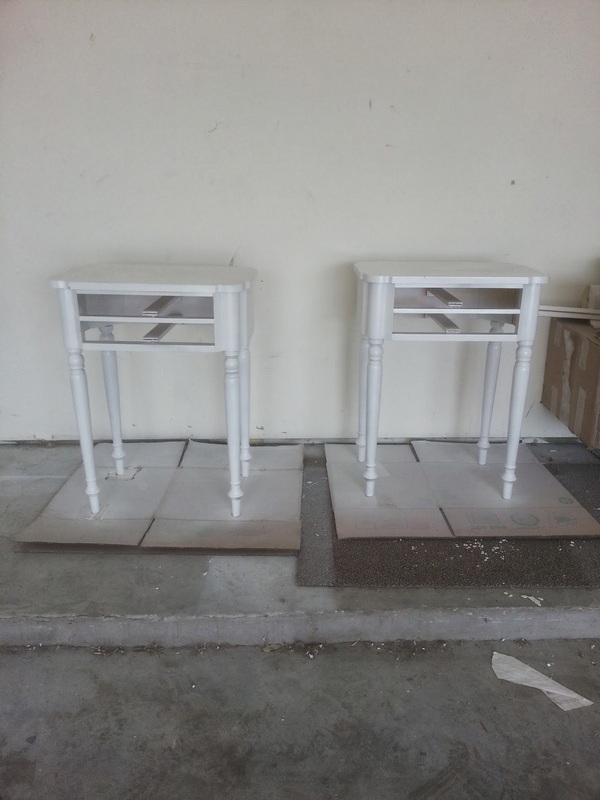 I took the tables to the garage to avoid that day's crazy wind and keep the spray paint where I needed it rather than into the air. 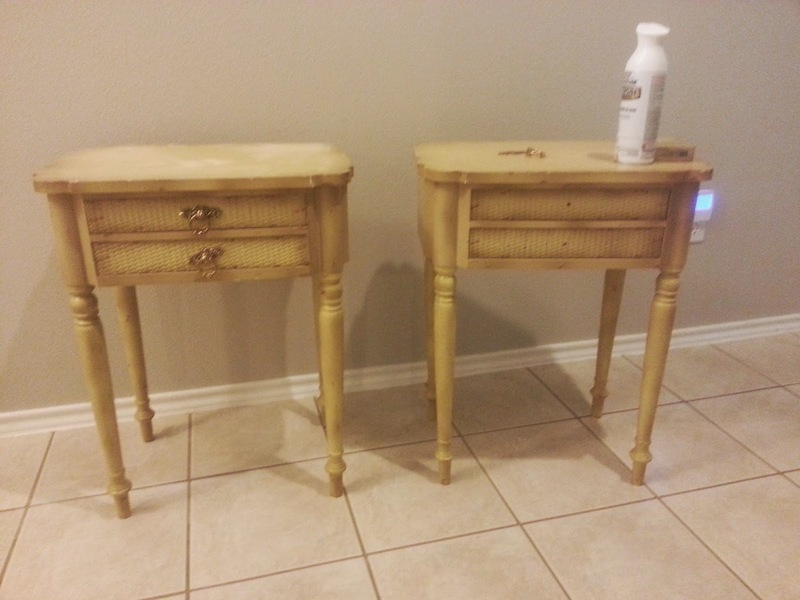 I ended up doing a few coats over two days because it was hard to get good coverage with just one coat. 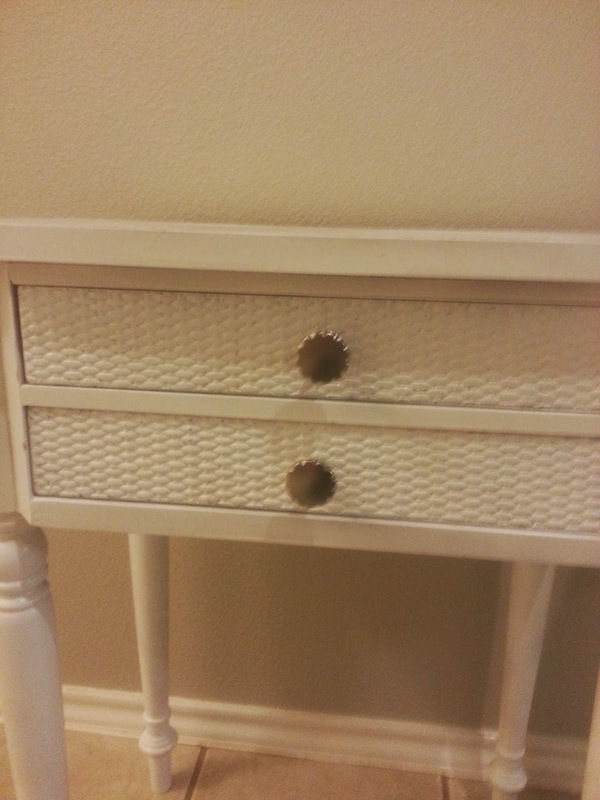 I found a little silver drawer pulls at Lowe's for less than a dollar each. 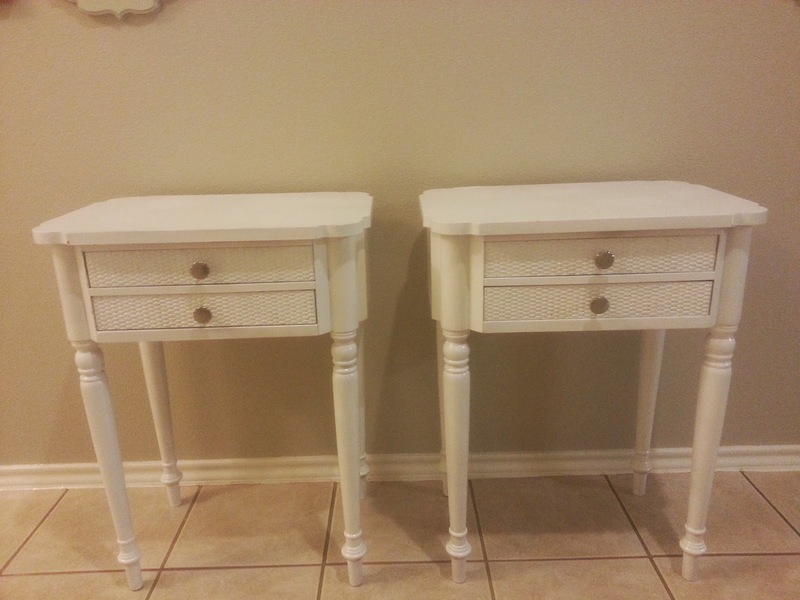 They were delicate enough to work with the tiny drawers, and gave the nightstands a more modern look. And next to the bed against my gray-blue wall color! I really love these little guys. 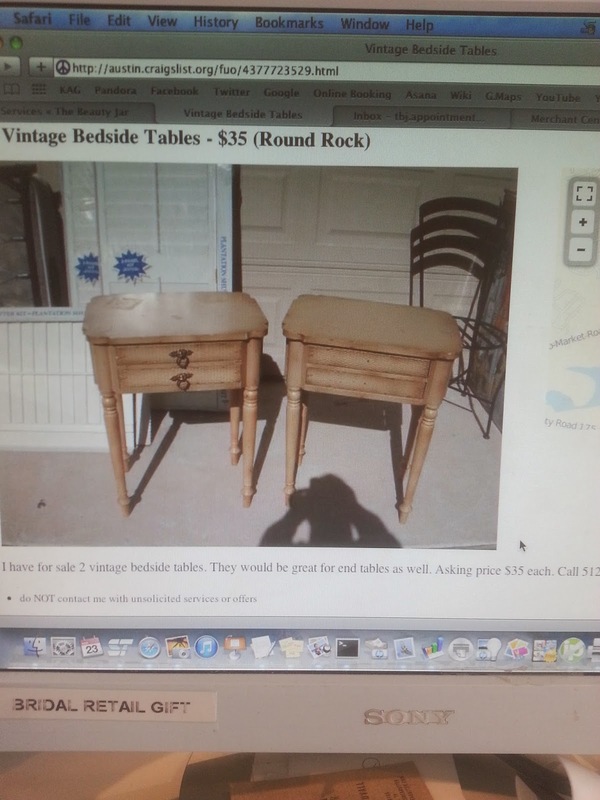 That's a whole lot less than one new nightstand, and less than a lot of the used nightstands I've seen, too. These look so different, and pretty much brand new now. All thanks to spray paint and an eye for a deal. These are adorable! I love all of the details on the nightstands. You have the best luck with scoring such great finds.